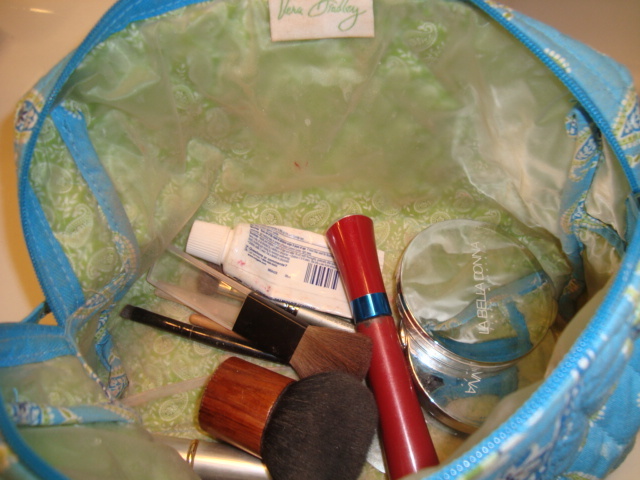 What’s in the make-up bag? Seriously. I have the same face every morning! And I don’t think I’m very good at putting any of it together or any of it on!! Case in point: On my WEDDING day, I forgot to put on lipstick. And NO ONE said anything!! Either because a) they are totally not use to seeing me in lipstick and so they didn’t know I wasn’t missing any or b) they just figured I never wear any so maybe I didn’t want to that day either. But HELLO!! It was my wedding! According to my pictures, I should have had some lipstick on!!! But, obviously, ten years later & I’ve moved on … sort of. So while, I may be boring in my personal selection, I really do LOVE the little bit of make-up I use. I have it narrowed down to 3 items. Yes 3. Do you hate me? Or think I’m just insane (and Staci, you can’t answer that!!)? 2. La Bella Donna Vision of Mineral Lights – this is a quad compact of compressed minerals – I use the colors as eye-shadow and as a bronzer/blush. I love it because of all the same reasons I do the Mineral Foundation, but also because it feels like I’m multi-tasking!! 3. Cover Girl Mascara – Yep, just the good old kind from the drug store. Because I can’t find any natural Mascara that IS waterproof. And I’m not going to mess around with non-waterproof mascara!! Of course I have a couple of other little goodies in there, like tweezers, a couple of make-up brushes, a buki brush (which I love, love, love! ), and a sample or two of lipsticks that I thought I might actually use but never did! But in my everyday make-up bag … that’s it! So, what’s in your wallet, oops wrong saying. What’s in your Make-Up Bag? The girls at Chic-Critique want to know! Post linked to Chic-Critique’s “What’s in Your Make-Up Bag” Carnival. 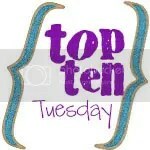 Post linked to Things I love Thursday at The Diaper Diaries.